The PLAY Project was created to learn about the role that playful interaction has in the emotional and social development of children with autism. To evaluate the program’s effectiveness, the PLAY Project recently completed a three-year, large-scale, randomized control trial, which focused on the impact of the parent-mediated play and a relationship-based program. The study is one of the largest and most rigorous clinical studies of its kind ever conducted. The PLAY Project study followed 128 families of three- to six-year-old children with ASD in five U.S. cities. 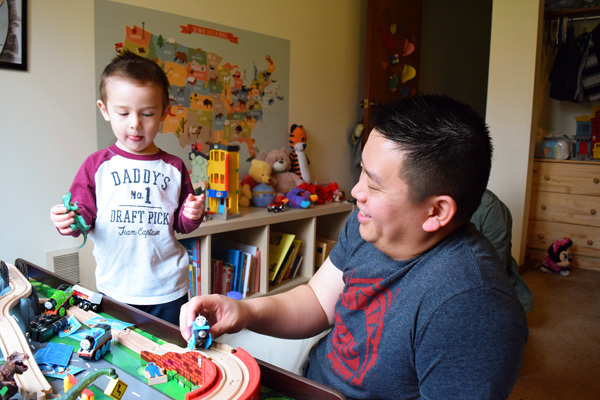 Families were randomly assigned to one of two groups: either the PLAY Project plus usual community services for autism or usual community services alone. Usual community services consisted of special education pre-school, speech-language therapy, and occupational therapy services. In addition, PLAY Project demonstrated improvement in families’ stress and depression. The study also revealed high-fidelity, meaning PLAY Project interventions could be replicated, true to the method, by those who learned the model. To read the full study, click here.